LAFAYETTE, Ind. 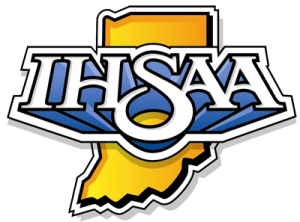 – Kokomo High School has participated in 103 IHSAA post-season boys basketball tournaments. And for a state record 73rd time, the eighth-ranked Wildkats hoisted the sectional championship trophy after it defeated McCutcheon 64-43 in the finals of the Class 4A Sectional 7 at Lafayette Jefferson High School. Against McCutcheon, a team Kokomo (21-2) beat by a single-point in its regular season meeting, Kokomo wasted little time in flexing its muscle. Tayler Persons, a 2014 Mr. Basketball candidate, scored seven first quarter points as Kokomo jumped to a 12-5 lead after one quarter. He nailed a 3-pointer to get the second stanza started, and by the time the halftime horn blared in the Marion L. Crawley Athletic Center, the Kats had outscored the Mavericks 17-2 to cruise into the locker room with a 29-7 lead. With Kokomo on cruise control, they looked for 6-6 forward Erik Bowen in the middle, and he didn’t disappoint. The junior forward scored eight points in the third quarter as the Wildkats stretched its lead to 30. It was such a dominant performance that after Persons dropped in a jumper in the third – good for his 900th career point – he had outscored the entire McCutcheon team 19-13 through 24 minutes of play. Senior LaBradford Sebree put the game away with 11 fourth quarter points. Sebree referred to McCutcheon’s momentum. After Kokomo knocked off Lafayette Jeff 65-51 in the first Friday semi-final, McCutcheon squared off against Logansport. Despite having an 18 point third quarter lead, the Mavericks lost the lead late to Logansport. With the game tied, Logansport held for the game-winning shot, only to shoot an air ball from the baseline. McCutcheon’s Tre’shon Heard grabbed the air ball, turned around, and heaved a 78-foot shot that hit nothing but net to give his squad a miraculous 56-53 win. The shot, captured on cell phone video by KHS statistician Patrick Barrett, was the ESPN Sportscenter Play of the Day on March 1. Sebree scored 17 points for Kokomo, while Bowen added eight. Nathaniel Acree led McCutcheon with 15 points, while Lockwood dropped in eight. The Kats have won three more sectional titles than Vincennes Lincoln (70). Lafayette Jeff is third with 68, Marion fourth with 66 and Richmond fifth with 62. 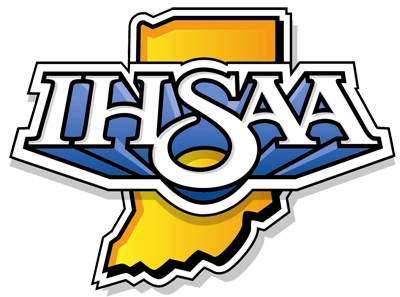 Only Vincennes joins Kokomo in the round of 16, albeit in Class 3A. The Wildkats first sectional title came in 1916. Kokomo now advances to its third straight Marion Regional where they will play No. 1-ranked Carmel (20-2) in the second semi-final at noon on Saturday. Game one features Fort Wayne Northrop (18-7) and New Haven (16-5). The championship game is set for 8 p.m. between the two winners. Only one other Howard County squad reached a sectional final game. Unfortunately for the Western Panthers, they lost 65-52 to West Lafayette in the Class 3A Twin Lakes Sectional. They advanced to the title game after avenging a regular season loss to Peru, knocking off the Bengal Tigers 66-52. The Panthers finished the season 13-9 under first-year coach Bart Miller. For Northwestern, they also lost to West Lafayette, 46-27, in the first round of the Twin Lakes Sectional. The Tigers bowed out with an 11-10 record. In the Class 2A Tipton Sectional, Taylor (5-17) drew a bye and faced No. 2 Tipton in the semi-final round. The Titans were no match for the loaded Blue Devils and lost 81-58. Tipton (22-2) advances to its own regional and will play Delphi (18-5) in the 10 a.m. opener on Saturday. Northfield (17-7) will battle No. 6 Wapahani (20-3) in game two with the winner meeting at 8 p.m. in the championship game. For Eastern (3-18), it was a heartbreaking 64-62 loss to Alexandria in the opening round. Alex hit a game-winning basket with three seconds left. For more on the game, see the March 5 edition of the Sports Journal.